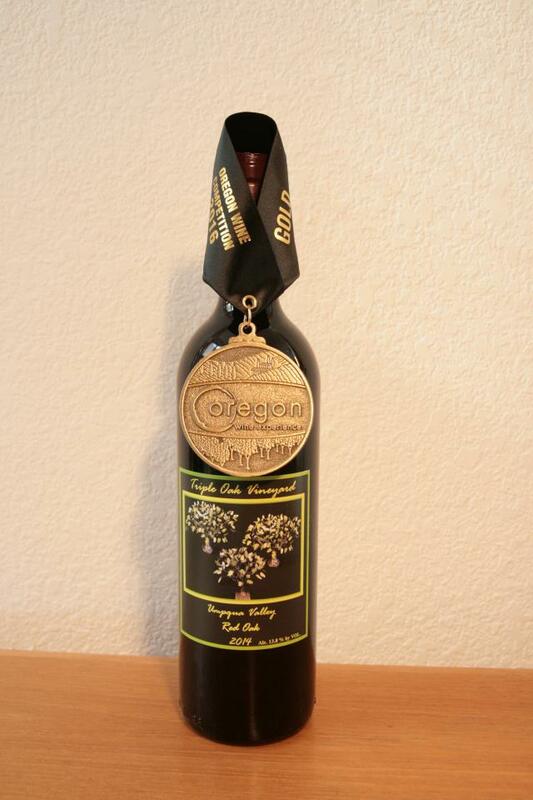 Triple Oak Vineyard was just awarded a Gold Medal for our Red Oak Blend at the Oregon Wine Experience in Jacksonville. Given the expertise of the judges and the breadth of the competition we were more than pleased. We were honored to pour the wine at their Grand Finale along with all the other Gold medal winners.